Commack, NY (January 13, 2019) – A man from Ronkonkoma lost his life early this morning, January 13, after a vehicle he had been a passenger in overturned in a fatal car accident. The man who lost his life has since been identified as 32-year-old Steven Sarvis. He was initially taken to the Siena Medical Center but was tragically pronounced deceased while there. The driver, on the other hand, was identified as 48-year-old Patrick McMahon. He was charged with driving while intoxicated. McMahon became involved in an accident after he had been driving drunk, which caused him to strike a driveway pillar and overturn the vehicle that Sarvis was a passenger in. His vehicle ended up on the front lawn of a home. One other person was injured in the accident but they have not been identified by police. McMahon was also taken to the hospital for injuries but was then arrested by police. We wish to warmly extend our sincere sympathies to the family and friends of Steven Sarvis, whose life has been taken too soon as a result of this serious and life-changing accident. 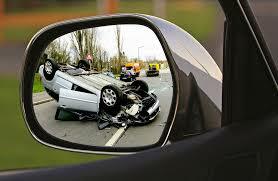 Accidents involving drunk drivers are far too often deadly in nature due to the speeds and recklessness of the driver. It is essential for the family of a victim to know that they have many rights to compensation at this time through the use of a wrongful death claim. At Hach & Rose, our devoted accident attorneys are here for you when you are getting started on following the path of working toward compensation you deserve at this time. We are proud of our passion as we work toward holding a criminal motorist liable for their actions. We understand the deep pain that you must be feeling after you have suffered as great of a loss as the loss of a loved one. Please do not hesitate to reach us for more information on how we can help in your time of need at 212-779-0057.